The West is on the brink of a historic—some say catastrophic—nuclear deal with Iran. One expert offers a quick primer on what they’re talking about. 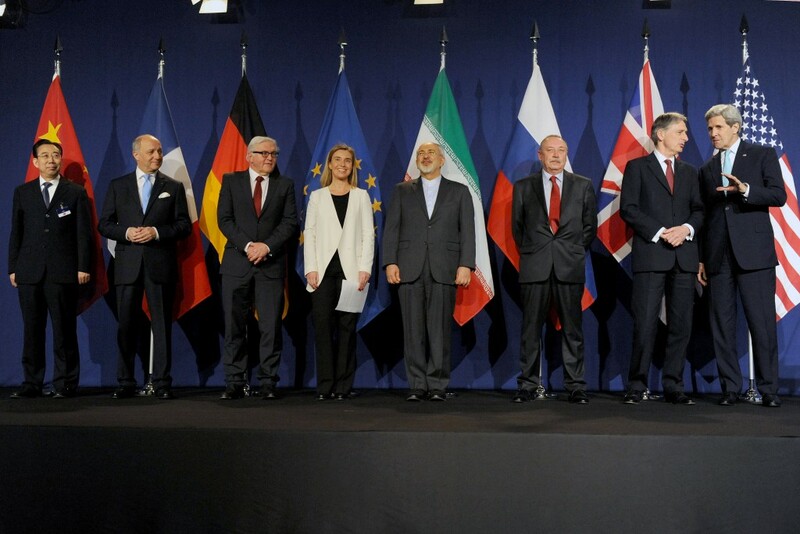 Even though the nuclear talks in Lausanne between Iran and the P5+1 group (the United States, Britain, France, Russia, China, and Germany) ended on April 2, 2015 with an agreement on the parameters of a Joint Comprehensive Plan of Action (JCPOA)—with the ultimate goal of reaching a final deal by June 30—significant gaps still exist between the two sides. There are, in fact, divisions within the P5+1 itself, most pointedly between Russia and the United States. Indeed, on June 19, Russian President Vladimir Putin told the West to refrain from presenting Iran with demands that are “unfulfillable.” Around the same time, the Associated Press reported from sources involved in the ongoing talks in Vienna that, because of disagreements on no fewer than ten essential elements of the emerging deal, the talks have reached an impasse. Therefore, according to these sources, it is possible that the negotiations will be extended past the June 30 deadline. The French in particular, as stated by Foreign Minister Laurent Fabius on June 11, are taking an aggressive stance toward the Iranians. It is no wonder that the Vienna talks are “pretty tough,” as a senior American official put it, because all the most problematic aspects of the Iranian nuclear issue had been put off until the Lausanne talks. It was also possible to anticipate the difficulties by examining the latest International Atomic Energy Agency (IAEA) report, issued on May 29. First, there are semantic differences between the IAEA and Iran in regard to the limitations placed on Iran’s nuclear program. The introduction to the IAEA report reads, in part, “The Security Council has affirmed that the steps required by the Board of Governors in its resolutions are binding on Iran.” [Emphasis mine] In contrast, Iran defines limits on its nuclear program as “voluntary measures” it has taken upon itself. Second, the report states, “Contrary to the relevant resolutions of the Board of Governors and the Security Council, Iran is not implementing its Additional Protocol. 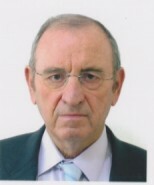 The Agency will not be in a position to provide credible assurance about the absence of undeclared nuclear material and activities in Iran unless and until Iran provides the necessary cooperation with the Agency, including by implementing its Additional Protocol.” In addition, on the issue of Possible Military Dimensions (PMD)—suspicious activities related to the development of a nuclear weapon, the divulgence of which has been until recently a significant P5+1 demand—the report states, “The Agency remains concerned about the possible existence in Iran of undisclosed nuclear-related activities involving military related organizations, including activities related to the development of a nuclear payload for a missile.” As a result, Iran must now be willing to provide the IAEA with “access without delay to all sites, equipment, persons, and documents requested by the Agency.” In other words, access to any information related to PMD. Further major issues of contention cover some of the same key issues that have plagued the talks from the outset: Specifically, Iran’s continued enrichment of uranium, the timing and extent of sanctions relief, and the mechanism for monitoring and verifying the Iranians’ future compliance with the agreement. The IAEA report casts doubt on Iran’s readiness to fulfill its obligations under the Joint Plan of Action (JPOA), the agreement signed in Geneva on November 24, 2013 with the P5+1, which was intended to neutralize the military elements of the Iranian nuclear program. Under this plan, Iran was obligated to convert all its new stock of UF6 (Uranium Hexafluoride) gas enriched to less than 5 percent—the level of actual enrichment is approximately 3.5 percent—to uranium oxide (UO2). This uranium oxide was meant to provide fuel for the nuclear power plant at Bushehr. The facility for converting the UF6 to uranium oxide came online in May 2014. According to IAEA reports, the Iranians stopped feeding it with UF6 enriched to 3.5 percent in November 2014. As a result, by June 30 Iran is expected to have a deficit of more than 1,000 kilograms of UF6 enriched to 3.5 percent that has not been converted to uranium oxide, well over the amount permitted and in clear violation of its obligations. 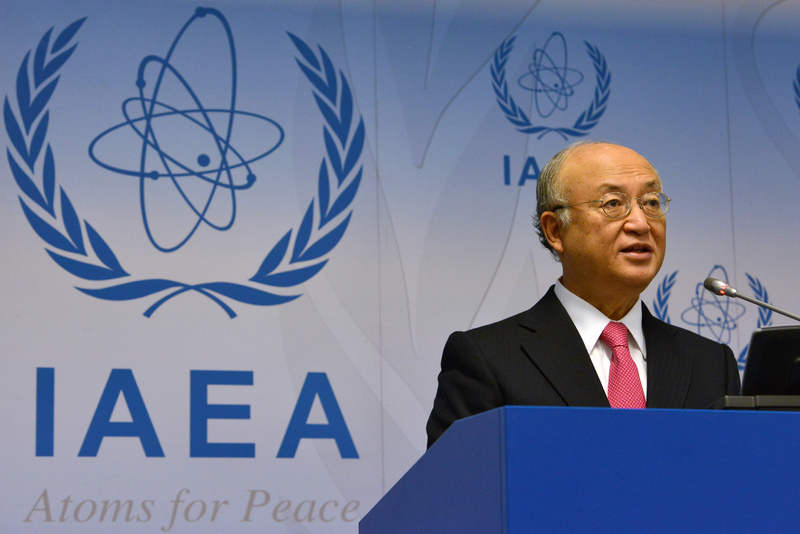 Meanwhile, again according to the latest IAEA report, Iran continues to expand its reserves of UF6 enriched to 3.5 percent, which now total approximately 9,000 kilograms (the uranium content of which is over 6,000 kilograms). Based on all the reports from the previous year, it appears that the monthly rate of uranium enrichment to 3.5 percent at the Nantaz and Fordow facilities over the last year averages167 kilograms of uranium. However, reports indicate that the working capacity of the centrifuges in Nantaz and Fordow remains stable. Since April 2, according to the American version of the Lausanne JCPOA document, Iran agreed to reduce its stock of UF6 enriched at a lower rate, convert it to uranium oxide, and limit the amount of UF6 to only 300 kilograms, for at least 15 years. From a technical standpoint, however, it is very doubtful that they can cope with this in the near future, due to the high stock of UF6. Discussions of the nuclear talks with Iran tend to deal with two aspects of the sanctions issue: The process of lifting sanctions when an agreement is signed, and the mechanism for re-imposing the sanctions if Iran violates the agreement. The sanctions currently placed on Iran have been enacted by the U.S. and the European Union, as well as those enacted by the UN in accordance with resolutions adopted by the UN Security Council in 2006. In the economic sphere, they freeze Iranian government property in the United States and put drastic limits on the international activities of Iranian banks. In the military sphere, they place an embargo on arms sales and a ban on technology that Iran could use to develop nuclear weapons or ballistic missiles. Indeed, they go so far as to freeze the property of companies and individuals involved in activities that could aid Iran in developing a nuclear weapons program. According to the American version of the JCPOA, the economic sanctions on Iran will be lifted gradually, in accordance with the pace of Iran’s compliance with the agreement. The U.S. and EU will also ease gradually the sanctions, in accordance with the IAEA’s verification that Iran has taken the actions required of it. In contrast, according to the Iranian negotiators at the Lausanne talks, both sides have agreed to an “immediate” lifting of sanctions. This was made clear at a meeting with Iranian Foreign Minister Mohammad Javad Zarif, Atomic Energy Organization of Iran chief Ali Akbar Salehi, and Iranian parliament members on April 7. There, Zarif promised to distribute a document detailing the agreements as a response to “American lies.” On April 17, as a gesture to Tehran, U.S. President Barack Obama offered to immediately ease economic sanctions following a nuclear deal. According to an April 29 report, however, Iran has softened its position slightly, with Zarif saying that, despite the importance of “simultaneous” implementation of both sides’ obligations, Iran will agree to a postponement of “a few weeks” between the date an agreement comes into effect and the lifting of sanctions. Zarif promised to distribute a document detailing the agreements as a response to “American lies.” Ten days later, as a gesture to Tehran, U.S. President Barack Obama offered to immediately ease economic sanctions following a nuclear deal. These statements are based on an unofficial compromise reached at Lausanne, according to which the response to Iran’s violation of an agreement will bypass the cumbersome process of raising the issue for discussion at the Security Council, where each permanent member state can veto a resolution. It is an open question as to whether two of these countries, Russia and China, will oppose any renewal of sanctions. In regard to this, the Americans proposed two creative ideas: First, instead of a Security Council vote, the sanctions will automatically be re-imposed, even if the Security Council votes against it. Second, the permanent members’ veto rights will be rescinded on this particular issue, and a simple majority will be sufficient to renew the sanctions. Nonetheless, former American government officials admit that the process of renewing sanctions, particularly those imposed by the UN, will not be easy. According to Obama, automatic renewal of the sanctions will occur only after the IAEA confirms that it has found “a very real problem” with Iranian conduct. But even in this case, there are more than a few difficulties: First, it is unclear how this threshold will be defined. Second, if a “real problem” is identified, it is not clear if it will fall under the aegis of the director general of the IAEA, or under the IAEA’s Board of Governors, many of whose members are from countries sympathetic to Iran or have economic ties with it. Finally, as a result of this, it is likely that even if the process of identifying a “problem” is not neutralized from within the IAEA, it will nonetheless proceed slowly. In any event, it is doubtful that Obama can guarantee the acceptance of either of his two solutions. They are controversial even within the P5+1 itself. The group is split between the U.S., Britain, France, and Germany on one side, and Russia and China on the other. Russia and China, who wish to expand their economic ties with Tehran, work together against the U.S. and its European allies. In particular, they oppose any attempt to erode their ability to influence Security Council proceedings on the Iran issue. Russia in particular, under the leadership of the ambitious Vladimir Putin, already pursues policies opposed to the U.S., with the goal of filling the vacuum created by Obama’s inconsistent foreign policy, in order to restore Russia to superpower status. And because of the economic sanctions the U.S. and EU have placed on Russia following its military intervention in the Ukraine crisis, the idea of an automatic mechanism to re-impose sanctions on Iran is received in Moscow with disgust. Russian deputy foreign minister Sergey Rybakov, in an April interview with the Russian news agency Novosti, and UN ambassador Vitaly Churkin, in a May interview with Bloomberg News, completely rejected the idea. This is in stark contrast to the Obama administration’s claim that Russia agreed “in principle” to a mechanism for re-imposing sanctions. 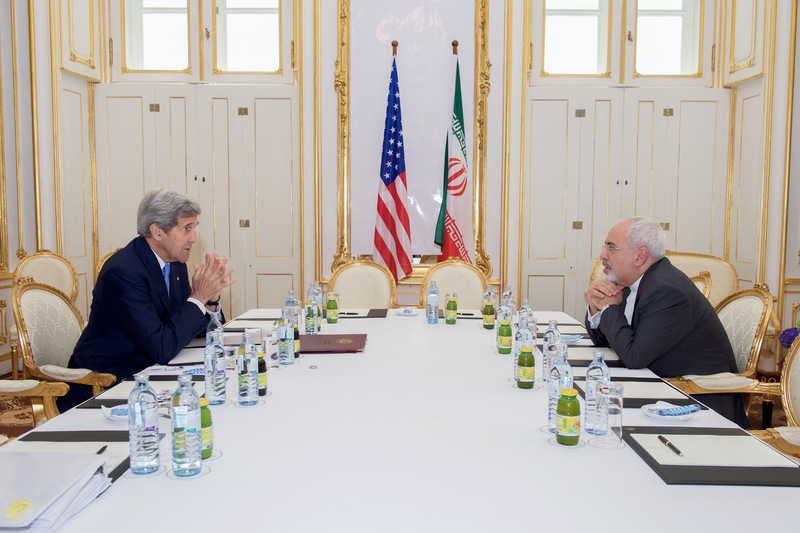 As of now, supervision of the Iranian nuclear program is central to the controversy over the ongoing negotiations. This issue is of the greatest importance, because if Iran violates the agreement, there is, of course, no way to renew sanctions without the ability to discover that violation. This requires intrusive monitoring in order to verify that Iran is living up to its commitment to curb its nuclear program. The most problematic issues related to supervision are activities directly related to the development of a nuclear explosive device and loading it on a ballistic missile¬. The IAEA places these activities under the category of Possible Military Dimensions; and they are undertaken at military sites. Western negotiators have requested that Iran allow foreign inspectors unprecedented access to sites where illegitimate nuclear activities are suspected, including military facilities. But Tehran energetically opposes these demands, or at least gives the appearance of doing so. The Supreme Leader of Iran, Ayatollah Ali Khamenei, in a speech delivered on June 23, rejected the P5+1 request for a freeze on research and development activities in sensitive areas for at least ten years, and completely rejected the possibility of IAEA inspections of military sites. “Inspection of our military sites,” he stated, “is out of the question and is one of our red lines.” He made a similar statement in his speech marking Iran’s National Day of Nuclear Technology (May 9), in which he justified his position by saying that such inspections would expose military secrets to foreigners—though it is clear that any such lack of transparency will allow Iran to progress toward the bomb. He further claimed that intrusive supervision of Iran would place the country in an unacceptable situation, because such severe measures have never been imposed on any other country. He sees this as a humiliation of Iran—though he conveniently ignores the fact that the regime he leads has brought Iran to such an impasse. Even the purportedly moderate president of Iran, Hassan Rouhani, stated in a television interview on June 13 that his country “will never allow its state secrets to be accessed by foreigners” as a result of inspections—including the IAEA’s Additional Protocol, which Iran has been asked to accept. In spite of the anxiety that preceded Israeli Prime Minister Benjamin Netanyahu’s March 3 speech to Congress, it appears that Netanyahu succeeded in his principal goal of getting Congress and the American public to take a critical look at President Obama’s growing closeness with Iran. Moreover, congressional Republicans were skeptical of the government’s ability to do serious business with the Islamic Republic, which continues to support terrorism. Ed Royce, the Republican head of the House Committee on Foreign Affairs, said, “I fear that the agreement that is coming will be too short, sanctions relief will be too rapid, inspectors will be too restricted, and Iran’s missile program will be plain ignored.” As a result of this, a compromise was reached between the chairman of the Senate Foreign Relations Committee, Republican Bob Corker, and leading Democratic senator Ben Cardin. It was then approved by both the Senate and the House of Representatives. Obama was forced to accept the compromise, and on May 22, he reluctantly signed a law that allows Congress thirty days to review the emerging deal with Iran. During this period, the president will refrain from canceling the sanctions Congress has placed on Iran. In Israel, anxiety over a nuclear deal with Iran has not abated—neither in the government nor public opinion. Even Saudi Arabia and the Gulf states are extremely fearful at the prospect. Because of this, when Obama held a summit meeting at Camp David with leaders of Saudi Arabia and the Gulf states, most heads of state did not attend. Nonetheless, Obama told the attendees that a nuclear deal with Iran is the best way to ensure the security of the region. By the end of the talks in Lausanne, it appeared that Israel, Saudi Arabia, and the Gulf states were simply marking time, waiting to see how things turned out. But Obama is now trying to reassure them by giving the green light to large arms deals. According to recent reports, he even invited Netanyahu to a White House meeting, despite the general lack of sympathy between the two men. 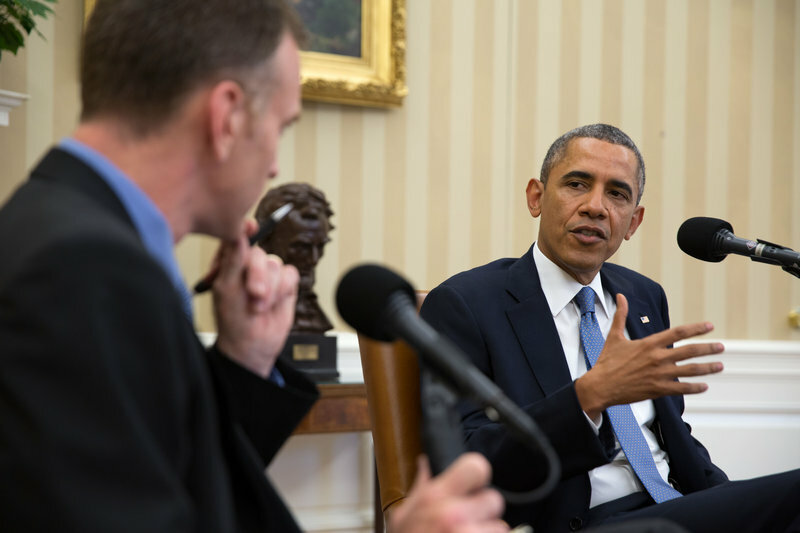 Just as he said to the leaders of Saudi Arabia and the Gulf states at Camp David, Obama stated in an April 7 interview with Steve Inskeep of National Public Radio that he sees a nuclear deal with Iran as the best option for the U.S., its allies, and world peace, regardless of the essential nature of the Iranian regime. He explained this by saying that Iran already has advanced centrifuges capable of rapidly enriching uranium; as a result, the time required for an Iranian “breakout” to a nuclear weapon has shrunk to almost zero. Thus, the agreement with Iran will push off this breakout for 13 to 15 years. If Iran violates the deal during that time, the U.S. will have at least a year to respond—though this estimate has recently been called into serious question, with some experts (including Olli Heinonen, the IAEA’s former deputy director general for inspection) suggesting a significantly shorter time frame. Against the background of recent U.S. conduct in Afghanistan and Iraq, the solution the Obama administration is hoping for on the Iran issue raises serious questions. It seems likely that Obama has crossed the “red lines” he had drawn himself, and his proposed deal will result in even more serious problems than those we face today.